Automatic Tool Changer with intermediate tool change arm provides capacity for 30 tools up to 350mm in length and 8kg in weight. Direct drive ballscrews and roller linear guide delivers high performance axis motion with 42m/min rapid traverse. 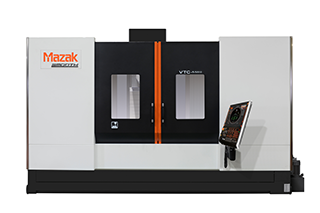 12,000rpm, 18.5 kW spindle is designed to reduce machining cycle times from heavy duty cutting to machining aluminium with small diameter tools. Center partition (option) allows for simultaneous set-up/loading /unloading on one side of the table and machining on the other.